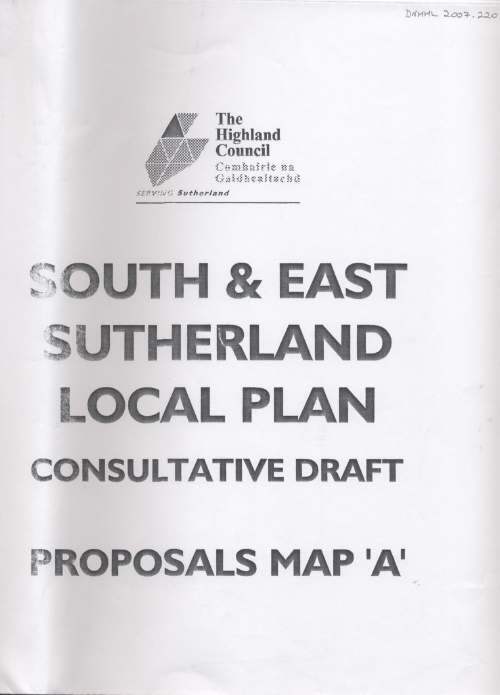 Proposals Map A for the South & East Sutherland Local Plan. Consultative draft April 1998. Single sheet.